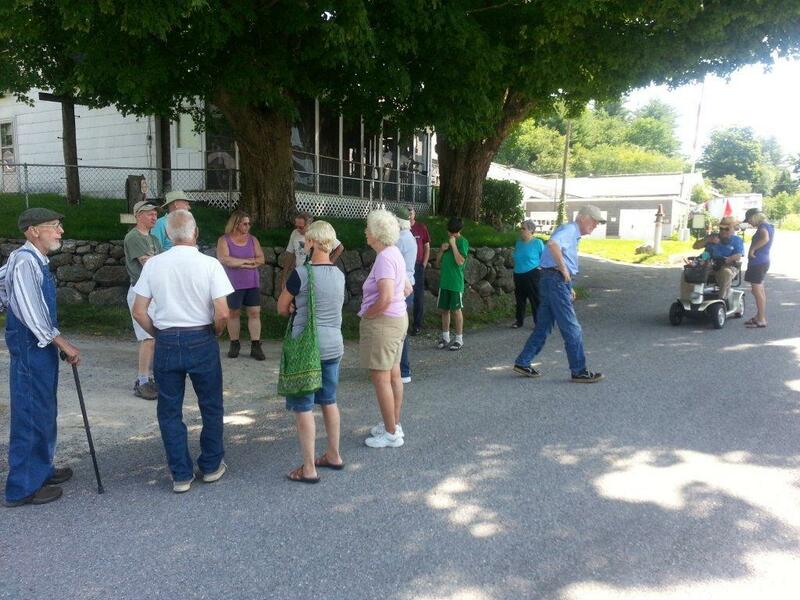 The Central New Hampshire Model T Ford Club's July 12th tour, thanks to Carl Goodman was a great tour! 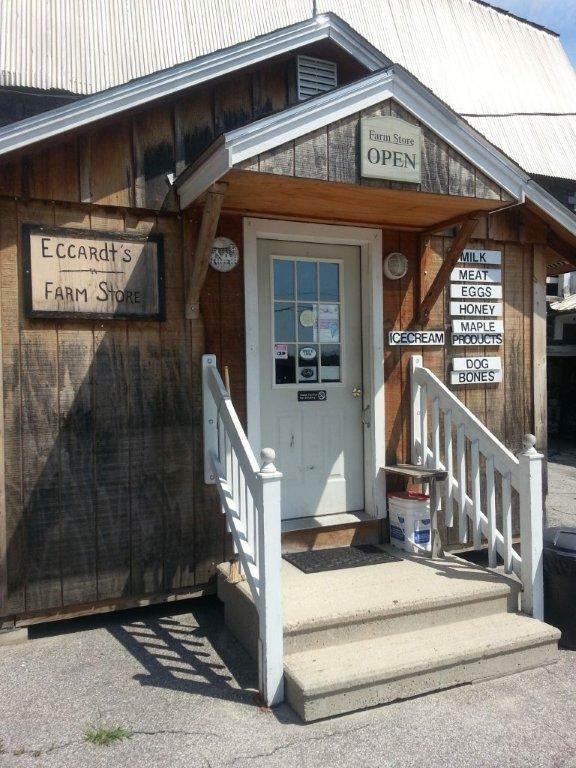 I had a wonderful time and enjoyed every minute I was on tour. 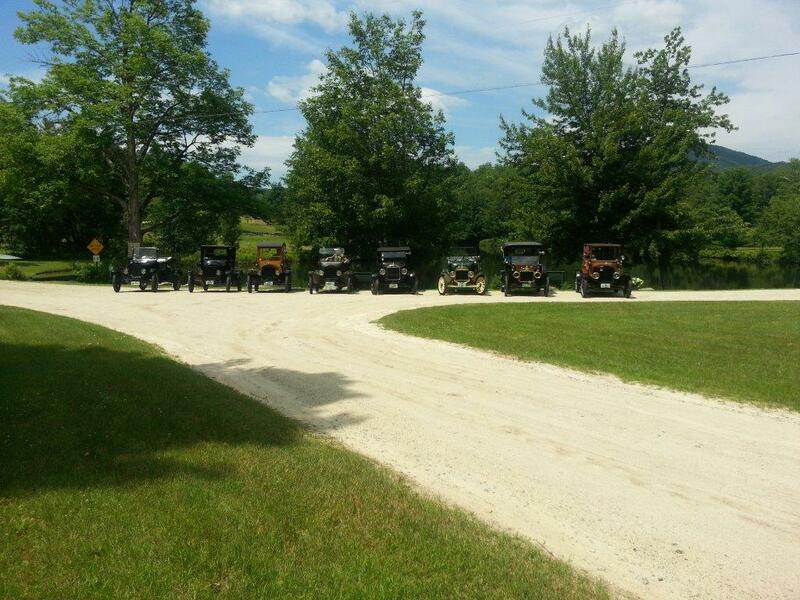 There is no better way to spend a Saturday than touring in your Model T with a great group of friends! 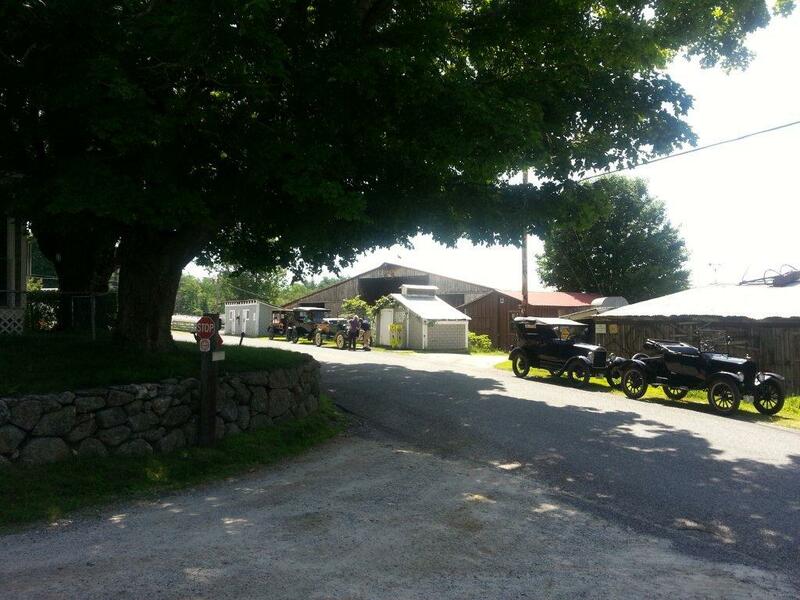 The farm was a wonderful place to visit and the High Tide in Hillsborough was a great place for lunch. Looked like a great day, and a nice group of cars. In that group shot, the gentleman on the left knows how to dress in sartorial splendor. When I first saw him, I figured he must be your long-lost brother Jeff! I thought it was Steve with a fresh shave!! Yes, Steve that's my friend Mike, he is a first rate T man and an expert T mechanic who is always willing to help a fellow club member or T owner with any problem they might have.